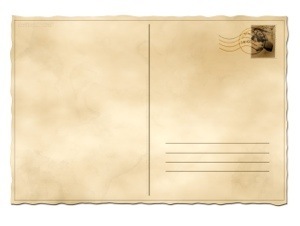 When was the last time you sent or received a postcard? I’m not gonna lie, it’s been awhile on both fronts. It hasn’t been so long that I don’t remember what it was like to receive one. When you are the sender, you know the importance of painting the perfect picture of the place you’d love to see that friend or family member. It’s like we’re playing advocate, ambassador of that locale, to our friends. The most important postcard I will ever write is on the heart of my kids. The truths that we live by and teach to them will determine the course of their lives and the expanse of our legacy. As a dad that follows Jesus, I’m less concerned about my legacy as I am of what kind of legacy of the Gospel I leave in their hearts. Most importantly, I am reminded that I cannot write a postcard of Kingdom significance on my kids’ hearts if I’ve never gone there myself. The best way to disciple your children is to be discipled. All this isn’t just about us, it’s about those who we influence, one way or the other.